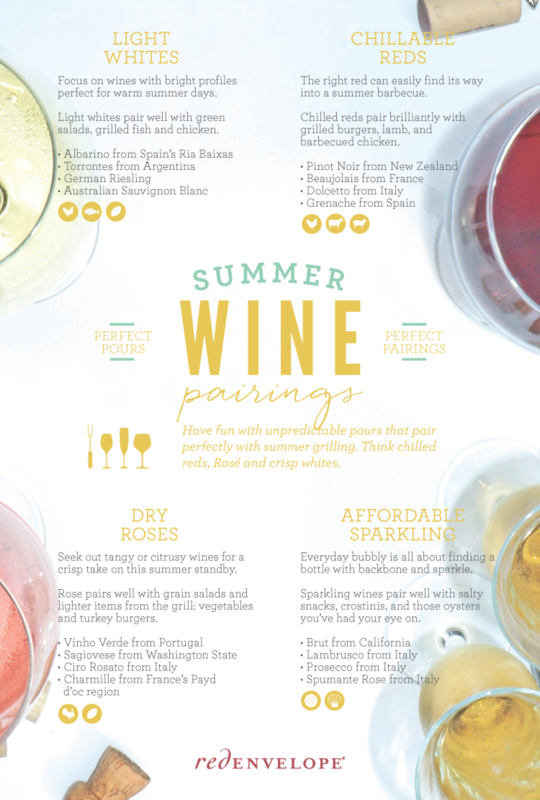 One of the best things about wine is the huge variety on offer across the different grapes, styles and tastes of the drink - there really is a wine for most occasions and this infographic from Red Evenelope looks at a handful of wines that pair perfectly with a hit summer day with grilled food. Chilled reds, crisp whites, sparkling wines and rose are all featured on the list with a breakdown of exactly which wine to go for in each variety. There’s four wines for each variety, for example. Rose Wine features Binho Verde, Sangiovese, Ciro Rosato and Charmille. The team behind the infographic also try to offer a good mix of wines from around the world, so no matter where you’re from you should be able to find a wine you can get your hands on. Take a look and get some great wine advice.